While replacement windows can help reduce energy costs, replacement patio doors can help reduce your monthly heating and cooling bill even more. There are many advantages to replacing your sliding doors. Once your patio door is replaced, the maintenance is minimal, the operation is simple and it will greatly improve the overall appearance and functionality of your home. Never again will you struggle to close a sliding patio door. Do you need help determining whether you need to replace your patio door? Here are three questions you should ask before investing in replacement patio doors. When should I replace my patio doors? There are many ways to determine when to replace your sliding patio doors. For example, is the door difficult to open or close? Does it leak during a heavy rainstorm? Is the glass fogged up due to moisture trapped between the panes of glass? Feel around the corners of the door to determine if there is a draft. If there’s a draft, this will likely increase your energy bills and ultimately reduce the comfort of your home. Any of these signs means it might be time to replace your patio doors. What does the replacement process involve? Your patio doors may or may not be a “standard” size. This means replacement patio doors need to be adjusted to accommodate the size of the opening. 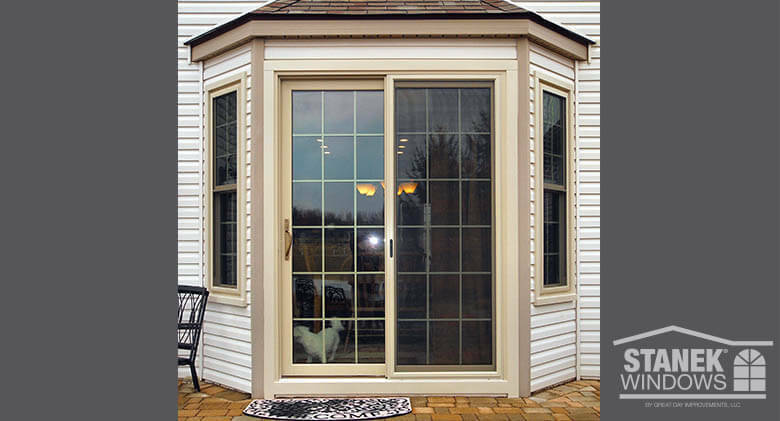 Because Stanek® replacement doors are custom manufactured for your home, they can create patio doors that will fit into any space. Want to change the size of your patio door? Stanek can also resize the opening and manufacture new doors to fit. What are the advantages of replacement patio doors? Advantages of your new patio doors are endless. 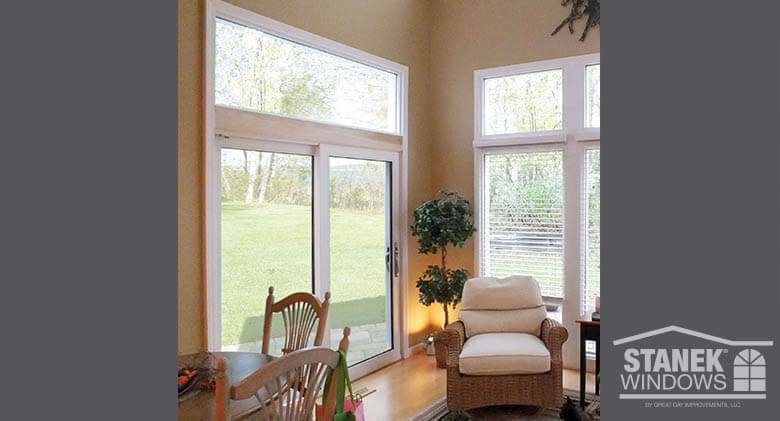 With replacement patio doors, you will eliminate water leaks, drafts and foggy doors. New patio doors also make your home more energy-efficient and secure. The patio door will lock and slide open more easily. Are you ready to learn more about replacement patio doors for your home? Contact Stanek® today for a free in-home estimate.